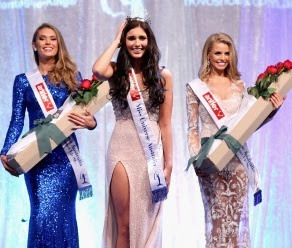 19 year old Olivia Wells defeated 29 other delegates to win the 2013 Miss Universe Australia Pageant in Melbourne last night. Wells is from Victoria and will represent Australia at this year's Miss Universe Pageant on November 9th in Moscow, Russia. She is a student of medicine.